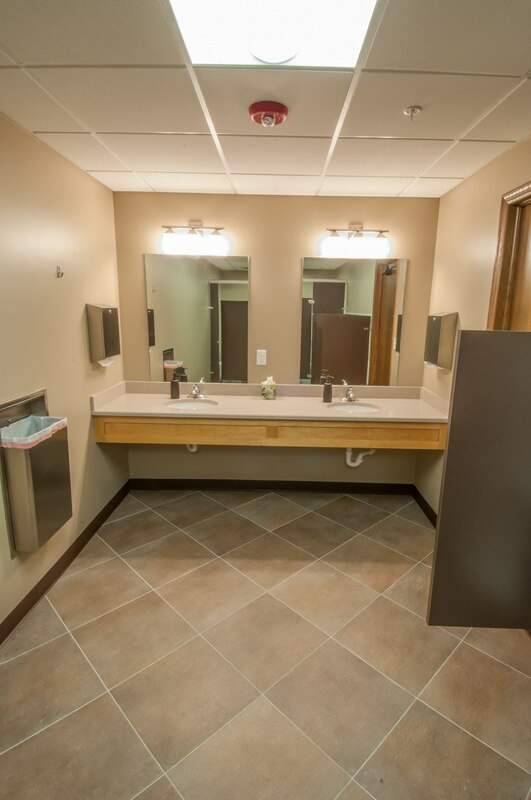 After almost three decades of use, Champaign Apostolic Christian Church’s facilities were in need of renovation. 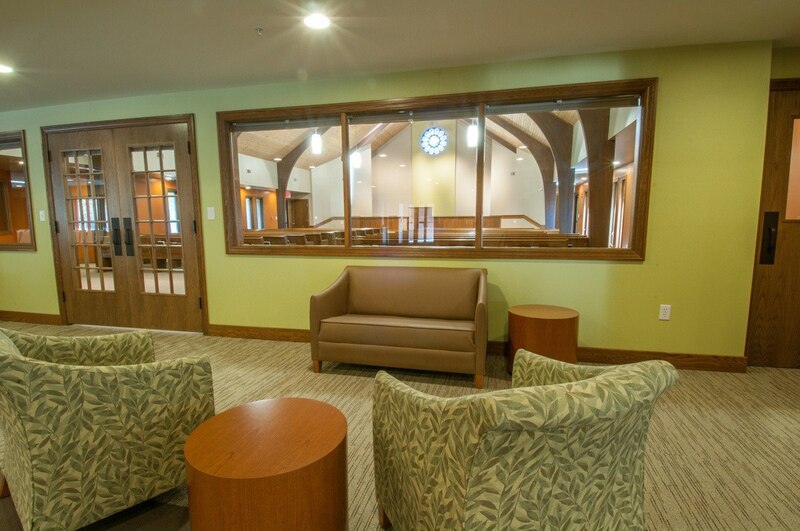 “Everything in the building was original from 26 years ago,” comments Building Committee Chairman Brent Young. 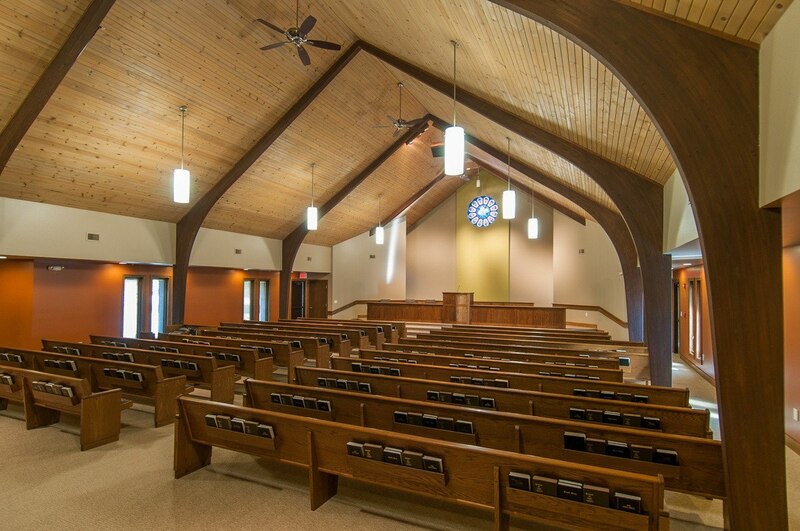 “All of our finishes had reached the end of their service life. 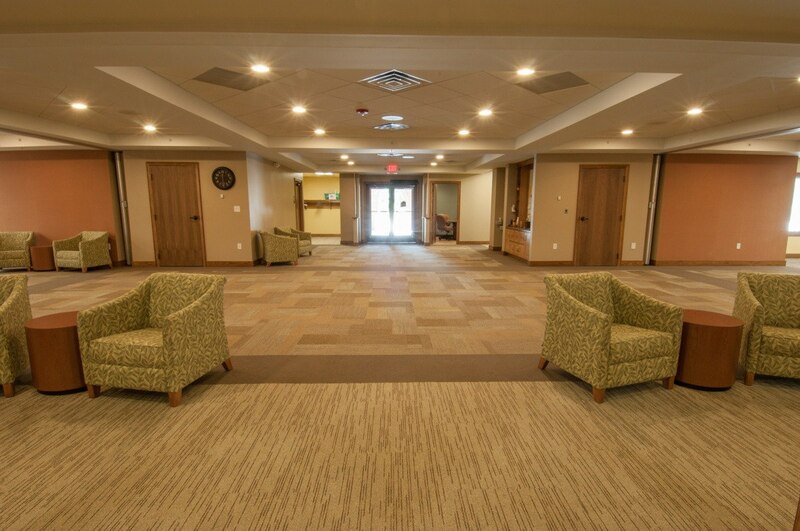 The roof needed replacement, and with many new, young families in the congregation, support for infants and nursing mothers was inadequate.” The church desired to improve the utilization of their space, while making their facility warmer and more welcoming to members and visitors alike. 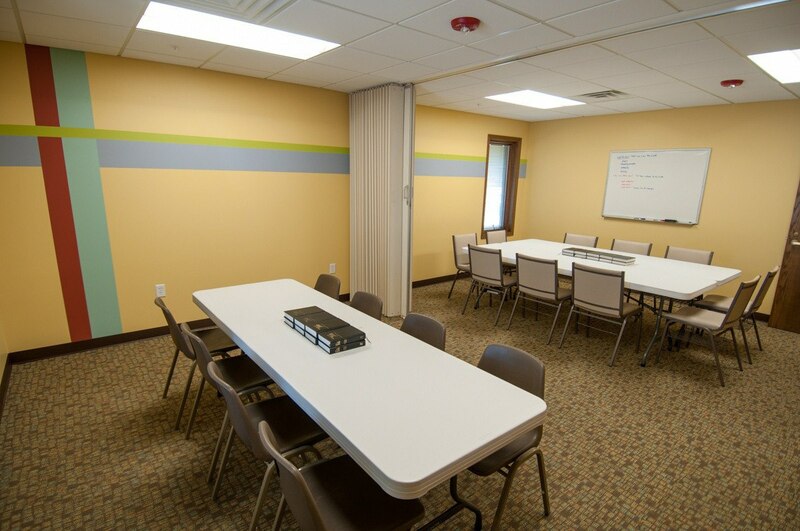 Wanting to take a holistic look at their building, Apostolic Christian Church, located in Champaign, IL, brought in Aspen Group to analyze the church’s ministry use of their facility and create a plan to bring the building into better alignment with their needs while freshening up the interior appearance. 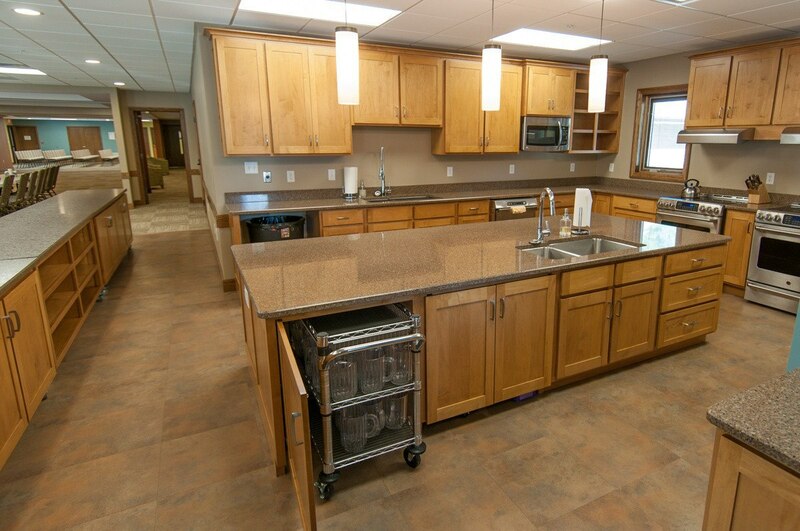 With the Sunday corporate worship and meeting time being a multi-hour event including a mid-day meal, the kitchen and dining areas play a critical role in the relationships within the church. 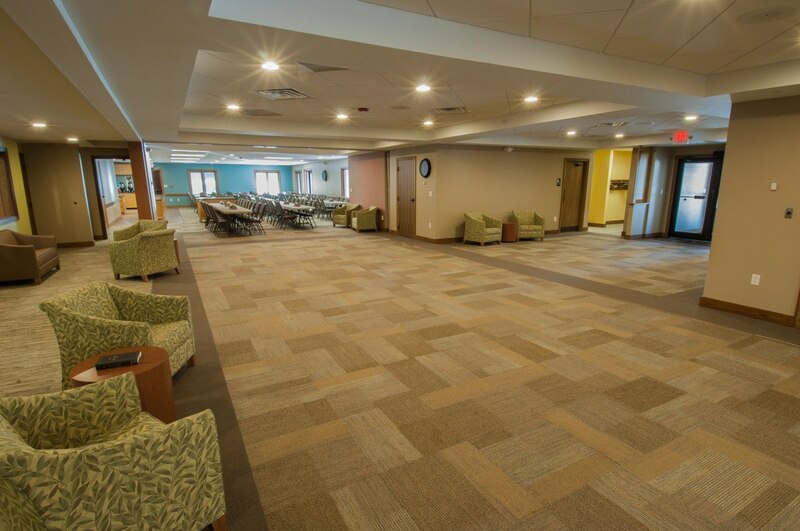 Out of space in the dining area, and frustrated by a less than ideal kitchen layout, one priority was to add 750 square feet to this space. 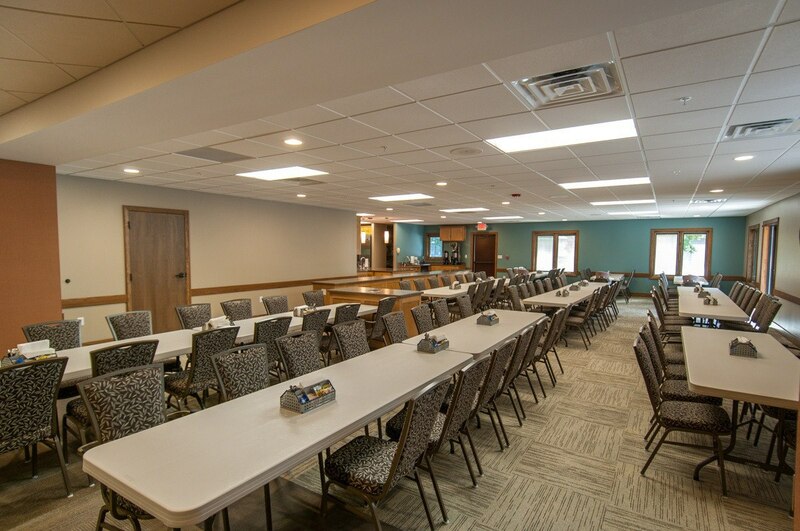 This improved the workflow of the kitchen layout and added an additional 30 seats to the dining area. 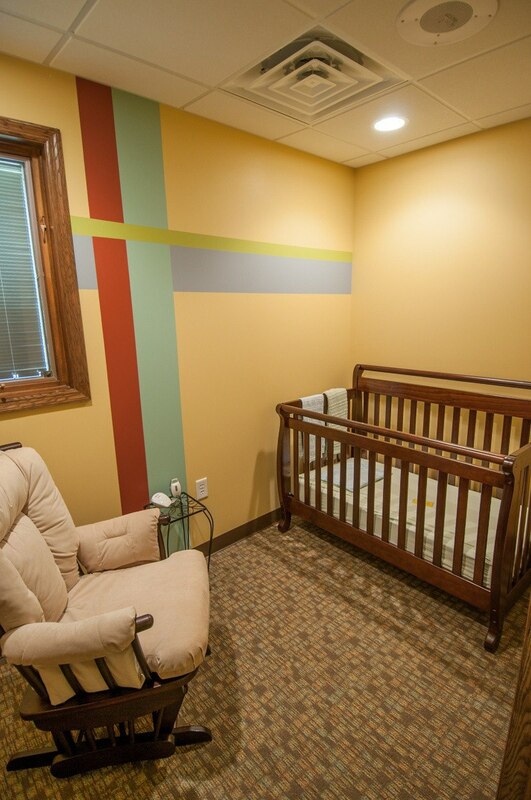 The nursery, formerly two separate spaces within the building, was not working well for them. 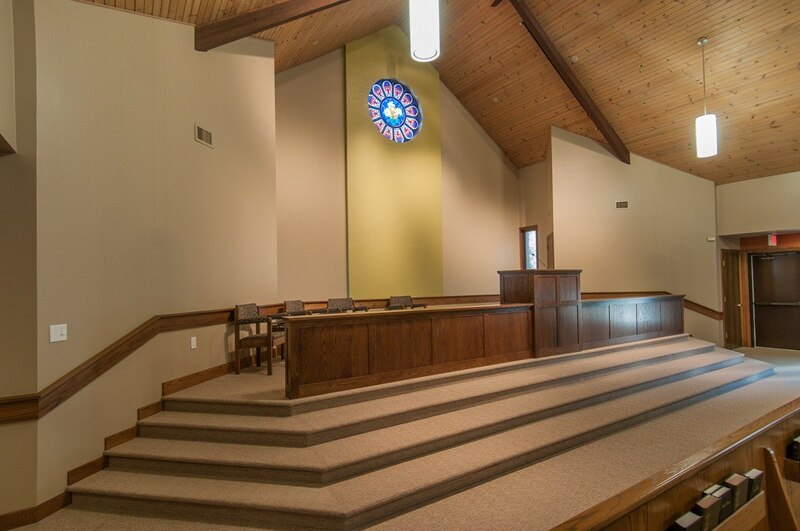 Now one larger space, serving the church’s children has been enhanced. 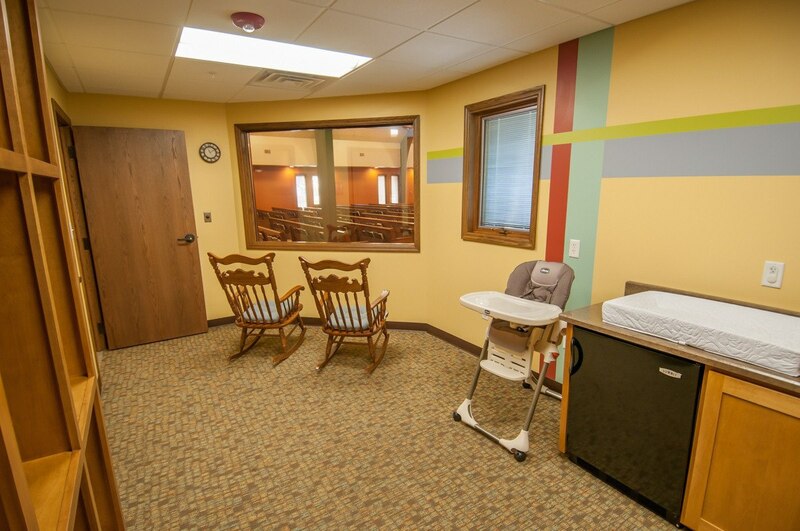 “The nursery changes make it easier for young families to attend,” adds Young. 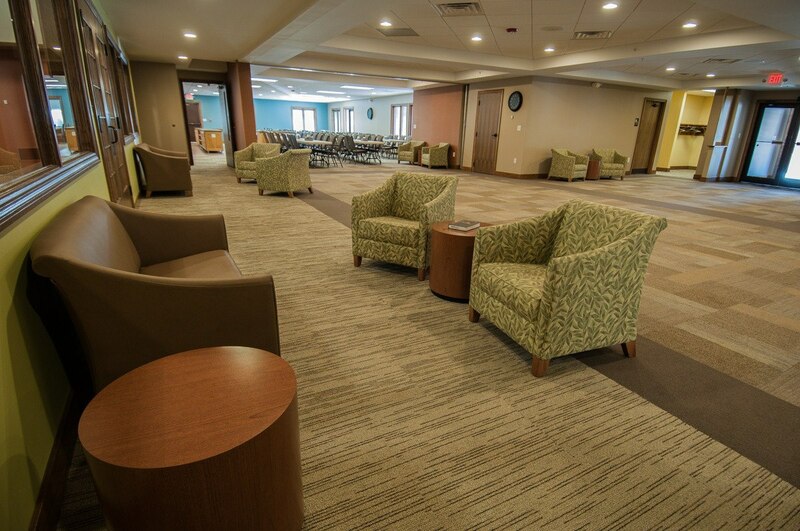 In addition to better utilization of their space, the interior received new color schemes and layouts to modernize and freshen the overall appearance of the facility.